Meet at Sanibel’s Gulfside City Park parking lot for a guided exploration of the Refuge’s Perry Tract. 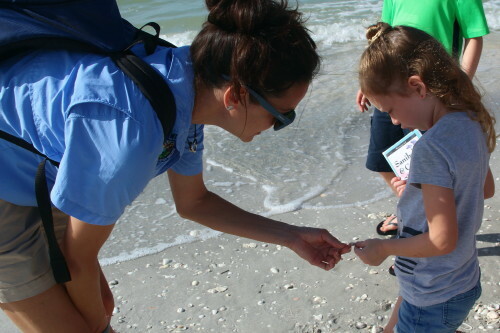 Learn about this vital beach ecosystem. Don’t forget to bring your shell bag, drinking water, sunscreen, and bug spray. Note: parking fees at Gulfside City Park parking lot apply. 8:30-9:30 a.m.
Making a charitable contribution is easy and tax deductible. You can donate online by clicking the Donate button. Sign up for 'Ding' on the Wing email bulletins and receive info about “Ding” Darling Wildlife Society events and news.